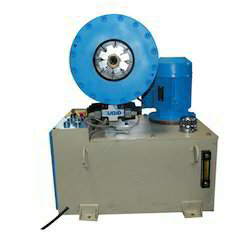 Semi-Automatic Hydraulic Hose Crimping Machine 1"
We Are Design Of hydraulic hose crimping machine As like your Requirement. and We are provide you 8 die Set of different sizes for crimping machine. 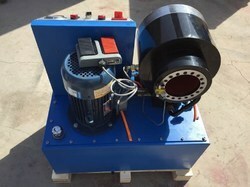 In this machine possible crimp size 1/4 inch to 2 inch. With sincerity and hard work of our experts, we have carved a niche for ourselves in this domain by manufacturing Hydraulic Hose Crimping Machine.